Last week, while I was in Daejon, South Korea, I woke up at 4:30 am to watch the live broadcast of the Oregon vs. UNC Men’s Final at College Nationals. Unfortunately, the game wasn’t all that fun to watch for me personally: I was pulling for my Ego friends and Darkside ran away with it, and there wasn’t a ton of great ultimate or highlights. That said, my ultimate analysis brain has no off switch. To me, the difference in the game can be boiled down to one thing: offensive execution in the wind. That got me thinking about the last few years of my experience playing and watching ultimate in the wind, including my time in the Northwest with Sockeye and Rhino, knowing and playing with many current and former Ego players, playing on Team USA at Beach Worlds in Dubai in a windy semi-final, and running clinics on six different continents. I’ve come to a pretty strong conclusion that if you’re a player or team from the northwest United States, you are at a serious disadvantage when it comes to games played in wind. Why? It’s simple: inexperience. I wrote a Mailbag response a while back about when I moved to the West Coast from the Midwest, and how my mind got blown when I first saw people throwing scoobers and lefties. I now realize that the reason those types of throws are so much more common and easy to learn in places like Portland and Seattle is because they’re easier to execute when it’s not windy. The Northwest is one of the least windy places I’ve ever been. I feel like everywhere I go is windier than where I currently live. Whether we are aware of it or not, we learn everything (not just sports) and evolve based on the parameters and assets of our environment. Great teachers and leaders know this, and that’s why they’re always so particular about the little things they can modify about a team’s culture and environment to maximize learning and improvement. 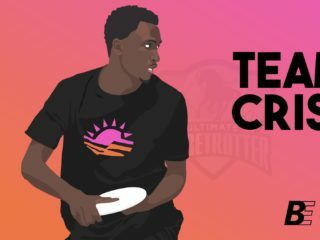 But one thing you can’t control about your environment as an ultimate player is the weather. If you’ve played most of your ultimate where there’s sketchy weather and wind, you’ve been forced to evolve. Either that or you had a great coach. 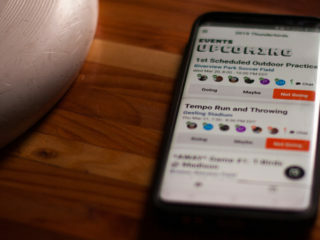 You might not know or have experimented with what some people might call “advanced,” “unconventional”’ or ”’cute” throws, but you sure as hell have figured out how to throw and catch the basics in less than ideal conditions. On your upwind forehand and backhand, you instinctively release a little lower, are extremely balanced, and give it a little extra inside-out edge and bite. You’ve internalized that your downwind forehand and backhand can be released a little higher, with the front edge tilted up just a bit, and with less velocity. You’ve got your captain’s scowl burned in your memory from the time you or your teammate tried to pop an upwind scoober over the cup. You now naturally use a two handed clap catch whenever possible, because you’ve seen the wind bounce the disc half an inch at the last second, resulting in a dropped goal at a crucial moment. Your team runs an offensive system that doesn’t change much when the weather changes. These are habits. You might might not even realize that you do them. You don’t think about them. You’ve evolved. Your experience and environment forced it on you. 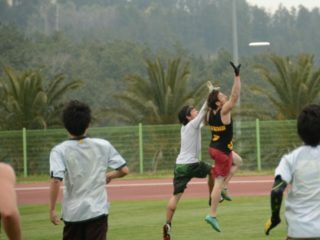 You’ve been there, had those experiences in the hundreds of hours of you practiced and played ultimate. Three teams I have close connections with, Sockeye, Rhino, and Ego, all have unique styles that make their offenses extremely powerful and dangerous. In recent memory, Ego has found success (semis or better four consecutive years!) with their wide open horizontal offensive style. Rhino before 2011 played a similar style, then shifted to a sidestack with emphasis on breaking the mark in 2012-2013, and in 2014 played a hybrid of the two. Sockeye’s recent superpower has been publicly deemed as a “small ball” style that moves the disc quickly and hits tighter windows. The common thread I see between these teams and their offensive styles is that they rely heavily on touch throws, both throwing and catching them. A touch throw, to me, refers to a throw that spins fast but has low velocity. Throws like scoobers, lefties, half-pivot backhands, and floaty hucks to space often fall into this category. If you play in the NW where weather in the ultimate season is generally calm, these throws can be extremely effective. When most of your training and playing experience is on calm days, you get in a habit of using them (unless you’re coached not to). And when everyone uses these throws, your offense evolves to rely on them. And then when it’s windy, those throws don’t work as well and you only have limited experience outside of the ‘non-windy bubble’, which makes it hard to plan and adjust for. At that point, you and your team are susceptible to falling short in your last game of the season to another team that’s equally talented, but more experienced in windy conditions. Come to think of it, this has happened to me the past three club seasons (Sockeye 2013-2014, Rhino 2012). It happened to Riot during the Fury dynasty. It just happened to Ego. And by the way, shout to the baller ladies of Oregon Fugue and Lou for being the exceptions to the anecdote.